Hey you! 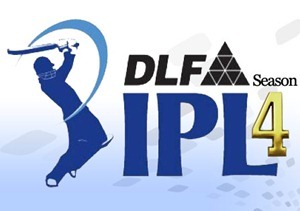 Its time for Indian Premier League (IPL) auctions again. Unfortunately, the IPL newsmaker of the year 2010, Lalit Modi, is no more associated with the good part of the game; but as they say the show must go on – the larger than the life IPL event would still move on even without the charismatic Modi. However, the overall mood won’t be as glitzy as the earlier three editions of IPL, after witnessing a spate of controversies and close scrutiny revolving around the cash-rich IPL Twenty20 cricket franchisees and their owners. The auctions for the IPL-4 (April 8 to May 22) will be held in Bengaluru on January 8 and 9; wherein all the 10 franchisees will be vying to pick the finest cricketing talent from a pool of 350 international and domestic cricketers. Further, all franchisee owners will have to work out their math such that the cap on spending money among their team players does not exceed $9 million. 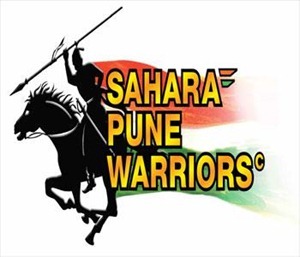 The fourth edition of IPL will feature 2 new entries in the form of Sahara Group-led Pune Warriors and Kochi which is owned by consortium of multiple companies. Further, the two ousted franchisees – The Rajasthan Royals and the Kings XI Punjab – managed to get clearance from the Bombay high Court to participate in the auction process. Thus, a total of 10 teams will indulge in a bidding war to grab finest talent to sport in 74-matches to be played in IPL Season-4. 1) Mumbai Indians: Sachin Tendulkar, K Pollard, L Malinga, Harbhajan.Singh. 2) Chennai Super Kings: MS Dhoni, M Vijay, S Raina, A Morkel. 4) Delhi Daredevils: Virender Sehwag. 5) Royal Challengers: Virat Kohli. A striking aspect to come out in the IPL-4 would be absence of prominent Australian cricketers which helped in pulling crowds in earlier editions of the shortest version of the game. The talents of Ricky Pointing, Michael Clarke, Mitchell Johnson, Matthew Hayden and Glenn McGrath will be missed by the crowds this time around. Even as I am writing this, the auction process seems to have already kicked off. As per the preliminary reports, the in-form player Gautam Gambhir ($2.4 million) and Twenty20 specialist Yusuf Pathan ($2.1 million) has been bagged by Kolkata Knight Riders. The new IPL team Pune Warriors has bought Yuvraj Singh ($1.8 million) and Robin Uthappa ($2.1 million) to start with. So, in the absence of Hayden, who do you feel will use the Mongoose bat to good effect this time around? Does Team India really need Tax waivers?